Some have plans, few have principles. Growing up on Long Island, Darren Cioffi's early interest in history showed when he started buying, collecting and dealing in antique clocks and books as a sophomore in high school. About a year later he had his own antique store, and would spend weekends in New York City selling at the famous Annex antique market. He soon got interested in historical paper and documents; and before long found his first obsession: vintage cigar label art. Early in the 20th century a perfect storm of consumer tastes, economics and printing technology made these labels the finest color printing the world has ever seen. Recognizing their unique value, Darren sought out early tobacco artwork. Since then, he has built one of the largest antique paper archives in the world. Tracking down tobacco art and history led him quickly to his second obsession—exploration—and as college and grad school progressed, he spent more and more time abroad. Often on extended weekends he would hunt around Europe and the Caribbean, then race back to the East Coast for a full course load during the week. He built a network of cherished friendships in 50 countries. Wining and dining eccentric personages in exotic locales, treasure hunting for tobacco art, Darren was fated to develop a third obsession: Cigars. Never one to settle for the familiar or to accept others' recommendations, Darren went to great lengths to search far enough, wide enough, and high enough to satisfy his precociously cultured and demanding palette. For two decades he tasted them all--the bizarre, the rare, the outlandish—and today his library of vintage cigars spans the world and the century with examples dating back to the 1870s. Before long an unsatisfied man accustomed to taking matters into his own hands is blending and producing his own bespoke cigars. Darren shared his labor of love first with friends and family, and later with important associates. Though the secret got out, over a decade would pass before Principle Cigars was born. Darren could put his name on nothing less than excellent, and the qualities of a beautiful custom product are difficult to reproduce in quantity. He used his experience and natural ability to source rarities to procure only the finest, aged tobaccos from around the world. He would not employ shortcuts he witnessed even quality boutique brands practicing. Finally in 2013, Hendrik Kelner managed to convinced him that even with his demanding philosophy, Darren might find a way to share his labor of love beyond his inner circle. If we have only enough of a key tobacco to produce 1000 cigars of that blend, that’s all we'll make. 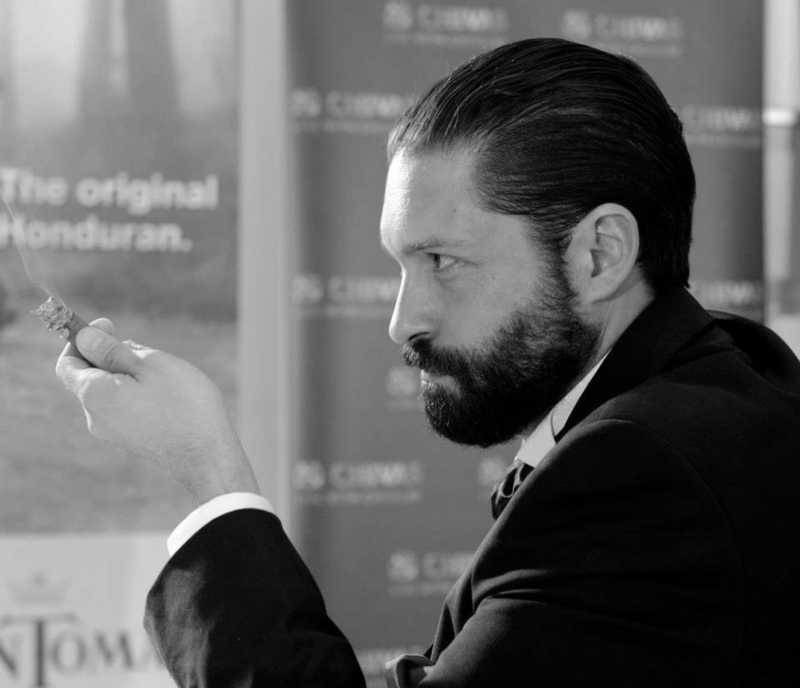 In 2014, Darren became the biggest name in competitive cigar smoking overnight. He entered the ‘Cigar Smoking World Championship’ on a lark and became the first American ever to win the global competition. Since then, he has broken the world record for ‘slow smoking’ six times and has also been the champion of national tournaments in the USA, Switzerland, Germany, France, Serbia, Croatia, Denmark, Romania and Sweden. No pretense, no shortcuts, no nonsense. After a long and exceptional road, Principle Cigars is here.